If you’re one of the 15% of the population receiving treatment for high blood pressure, you’ll probably be checking your medication details this week, as regulatory bodies across the world issue recalls of certain medicines containing valsartan, a common active pharmaceutical ingredient (API) in generic blood pressure drugs. The alarm was raised after one valsartan manufacturer, Zhejiang Huahai Pharmaceuticals (ZHP), detected the carcinogenic impurity N-nitrosodimethylamine (NDMA) in the API and suspended supply to the international market1. As a result, the European Medicines Agency on 5th July announced a review of medicines containing valsartan from ZHP, as countries across Europe and Asia recalled the affected drugs. The FDA joined 22 other countries on 13th July in issuing a voluntary recall notice, despite earlier statements by drug developer Novartis that US products would not be affected. Medicines containing ZHP-produced valsartan were recalled, along with those in which the drug is combined with Hydrochlorothiazide. NDMA is an organic chemical produced as a by-product of industrial processes and is highly toxic to the liver as well as a known human carcinogen. In the US it is classed as an ‘extremely hazardous substance’ (Section 302 of the U.S. Emergency Planning and Community Right-to-Know Act), and it is also a contaminant of concern for the food industry and in water treatment, as chlorination and chloramination can form potentially harmful levels of NDMA2. NDMA can also occur in animal feed and processed fish; in 1980 a study3 was undertaken after livestock in Norway started dying due to a new, malignant liver disease. It transpired that the sodium nitrate used as a preservative in the fish meal industry and nitrogen oxides, a by-product of processing, were reacting with amines present in the fish to produce NDMA. A significant number of cows, sheep and mink given the NDMA-laced feed developed tumours or suffered liver failure. While human studies of NDMA effects are limited to longitudinal estimations of total dietary NDMA – positively associated with gastric and colorectal cancer4 – in animal studies the causation is more clearly defined and the induction of liver tumours through NDMA ingestion well-documented5. In fact, NDMA is even used specifically to induce cancer in animals for treatment studies. 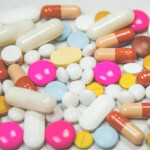 Although levels of NDMA in the adulterated valsartan are, according to Novartis spokesman Eric Althoff, much lower than any seriously affecting dose and so ‘would not represent a significantly increased risk to the patients’6, the contamination underscores how important constant monitoring and testing of pharmaceutical products is. With huge segments of the global population placing their trust in pharmaceutical providers to improve their quality of life, it is essential to catch or prevent any contaminated drug batches as early as possible, both for the protection of consumers and of business reputations. At LGC Standards we provide a thorough range of impurity reference standards for valsartan, including NDMA, available to order online or by contacting one of our sales teams. 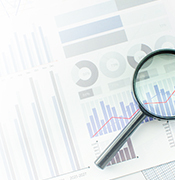 Don’t risk your customers’ confidence: put your trust in our product range of more than 5000 reference standards, which are of the highest purity and come with the most extensive certificate of analysis on the market, providing you with the maximal analytical certainty. Explore our range further here.